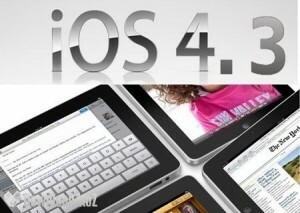 Apple just seeded iOS 4.3 Beta 1 to developers! I’m going to see what is in the new firmware and update this post A.S.A.P. e Verizon iPhone. Possible support for recurring billing for App Store content subscriptions such as News Corp.’s forthcoming tablet-focused news publication, The Daily. UPDATE #3: It’s official, the new iOS Beta allows devs to send video from apps or websites to an Apple TV. There’s also a new beta of the Apple TV software for testing it out . The Apple TV doesn’t have any version notes, so I don’t know if it offers any additional features. One thing I’ve noted is the I’m not seeing any mention of mobile hotspot functionality, and considering the Verizon iPhones we saw were running iOS 4.2.5, we’ve got a feeling everything still hasn’t been merged up. I’ll let you know if I find anything else out. UPDATE #4: Apple posted this note on the firmware discription. UPDATE #5: I’ve also noticed that Apple totally revoked the firmware beta for the iPod Touch 2G and iPhone 3G, does this mean that those devices have become another member of the Apple Graveyard? Or does it mean that since this update is focused on AirPlay and those devices don’t have AirPlay support? I’ll let you now soon! UPDATE #6: Looks like there is one more update, it seems that Apple has included the new mobile hotspot feature that we saw yesterday in the Verizon iPhone announcement in the new iOS 4.3 Beta 1 update. UPDATE #7: Looks like there are a few more features. The biggest one, the iPad mute switch can now be toggled back to the rotation lock switch. Another feature is Apple adopted a new FaceTime icon for iPod Touch, and iPhone 4. One more is that Apple now allows users to have Full Screen iAd banners. 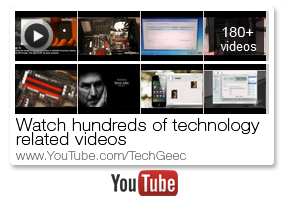 UPDATE #8: Gizmodo posted a video here: (iPad Multitouch Gesters) showing off the iPad multitouch gesters. Hope you enjoy.